UNA, oo Catholic priest yan. Hindi maikakaila yan kaya hindi masasabi ni Ultimate Taba na photo shopped ang mga larawan na yan. Hindi yan gawa-gawa. 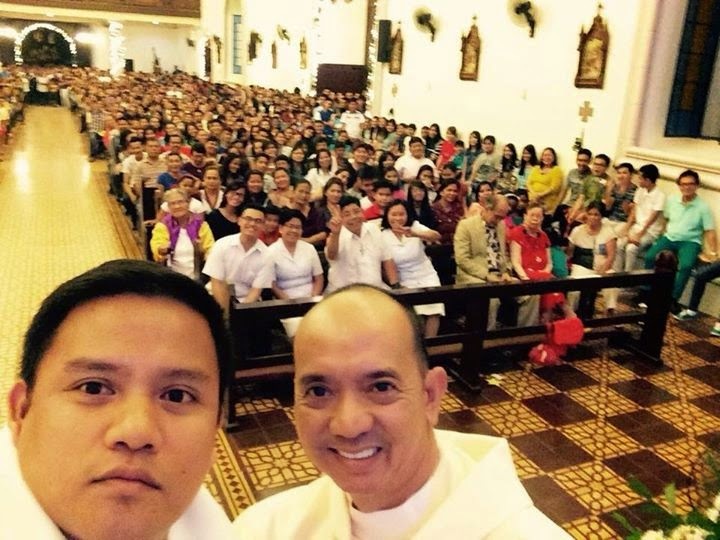 PANGALAWA, oo alam ng Obispo niya ang ginagawa niyang pagmimisa kung saan-saan. PANGATLO, naaawa ako kay Hesus sa ginagawa ng pari na ito. Catholic priest does not see anything wrong in feng shui. Video courtesy of GMA News. The priest here says there is nothing wrong with feng shui as long as it is not cultic? My goodness! Feng shui IS cultic! Look at how the people interviewed attribute the charms as the source of their luck! A Catholic priest does not know what the Catechism teaches?!?! The Catechism of the Catholic Church states, "All forms of divination are to be rejected: recourse to Satan or demons, conjuring up the dead or other practices falsely supposed to ‘unveil’ the future. Consulting horoscopes, astrology, palm reading, interpretation of omens and lots, the phenomena of clairvoyance, and recourse to mediums all conceal a desire for power over time, history, and, in the last analysis, other human beings, as well as a wish to conciliate hidden powers. They contradict the honor, respect, and loving fear that we owe to God alone" (CCC 2116). Feng shui is a form of geomancy, an occult Chinese method of deciphering the hidden presence of positive and negative energies in the universe that flows through buildings and other places, on the basis of a knowledge of earthly and atmospheric forces. Feng shui practitioners attribute the "luck" a person gets from the harmonizing of these energies, through the positioning of buildings, furnitures, and wearing of crystals and amulets. This is clearly a violation of the Commandment of worshiping false gods, attributing the graces received as luck, rather than grace freely given by God, who is the ONLY source of grace, not luck, but grace. The Catechism explains it further. 2111 Superstition is the deviation of religious feeling and of the practices this feeling imposes. It can even affect the worship we offer the true God, e.g., when one attributes an importance in some way magical to certain practices otherwise lawful or necessary. To attribute the efficacy of prayers or of sacramental signs to their mere external performance, apart from the interior dispositions that they demand, is to fall into superstition. And people think that by wearing these amulets, they invite luck not knowing that there are several people who were demonically possessed, as shared by exorcists, for practicing feng shui. Read the Catechism. Consult exorcists and even knowledgeable Catholics (catechists) about the subject matter of the New Age. A Jesuit, believe it or not, even spoke against feng shui. You can even read the latest Vatican statement against feng shui and other New Age practices here. Walang masama sa pagkuha ng larawan sa loob ng Simbahan. Pero san naman maayos at may decorum naman. Ang paring akala mo nasa comedy bar ka pag nasimba ka sa Misa niya. Let's put things in perspective, ok? But the media wanted to make it appear like this. 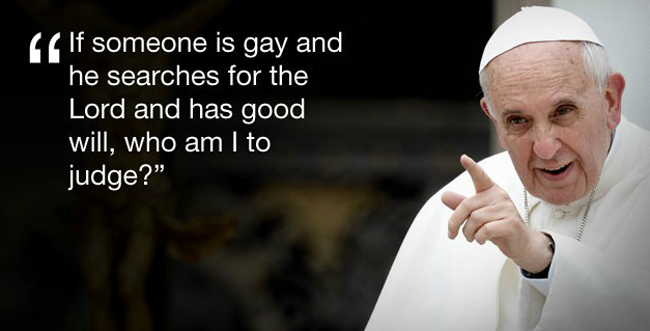 And to clear things up, Pope Francis is not respectful of LGBT rights. I heard from a friend that ABS-CBN's Jobert Sucaldito who says he is Catholic but fights for LGBT rights say on his radio program that Pope Francis is "respectful" of LGBT rights. To put things in perspective once again, LGBT rights include equal marriage rights with traditional marriage. Did Pope Francis make such statements? 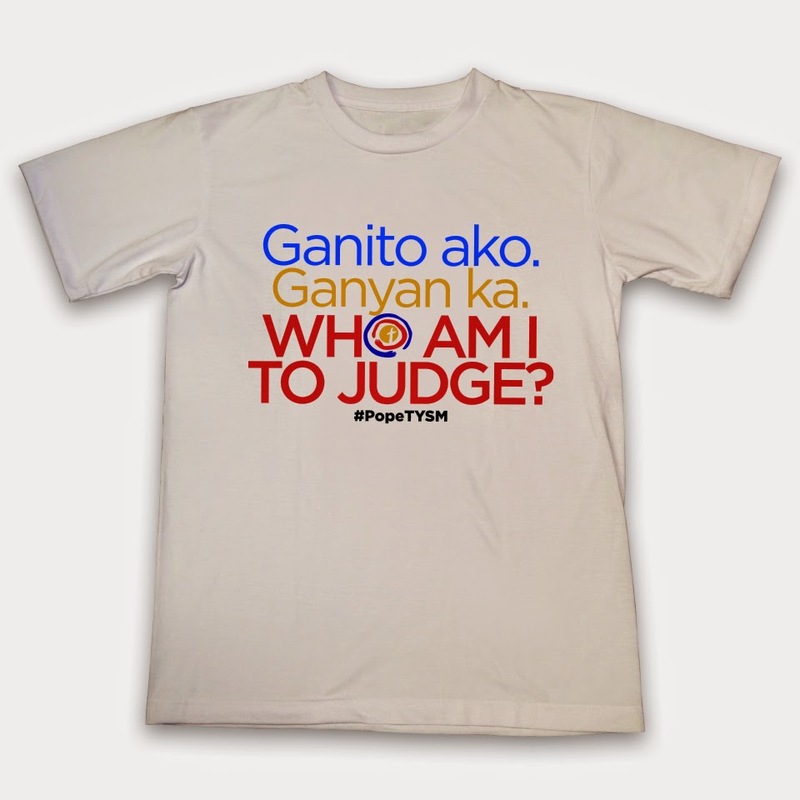 Did the 'Who am I to judge?' quote mean these? 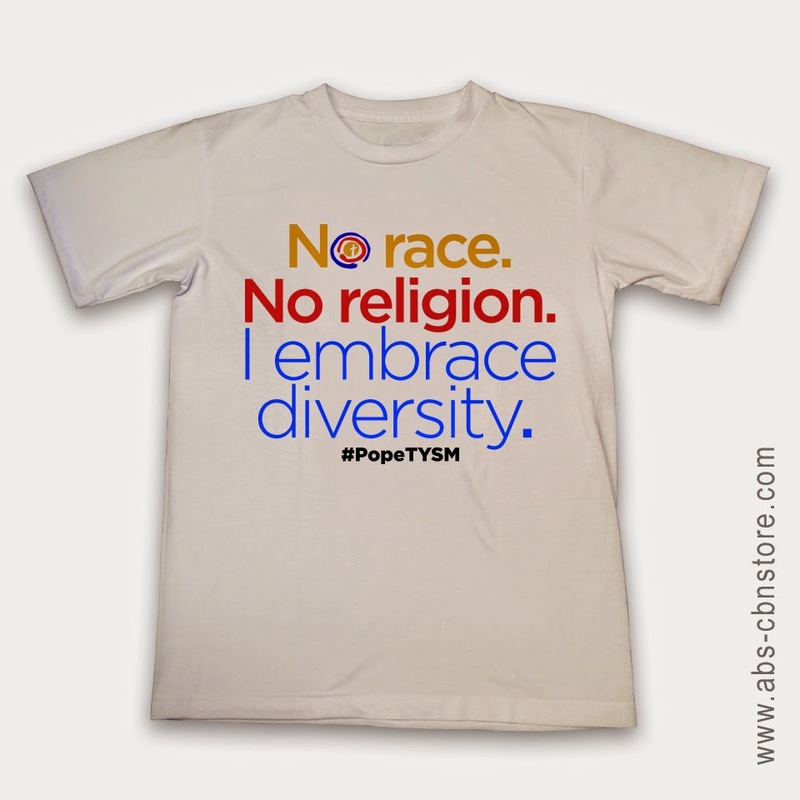 So, ABS-CBN, we all know that your network has homosexual talents in your payroll. If they seek God, who are we to judge? We do get that. The Church teaches that we be MERCIFUL and COMPASSIONATE to homosexuals. 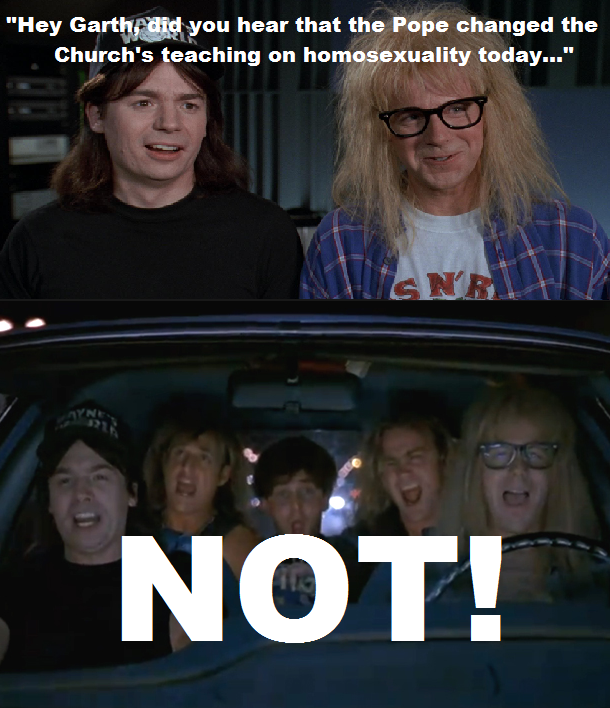 But the TRUTH remains that homosexual acts are an abomination and can never ever be called RIGHT by the Church. Pope Francis did not say this nor did the Church. It is gravely sinful and immoral. The Church is clear about this. And Pope Francis is NOT for LGBT rights. 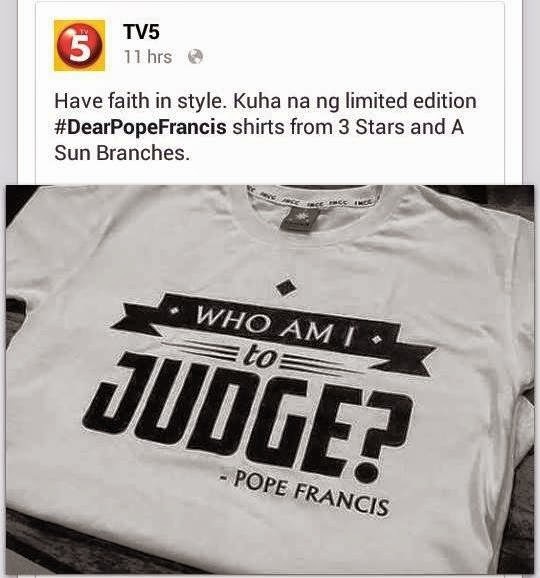 ABS-CBN, you just made another dumb shirt. 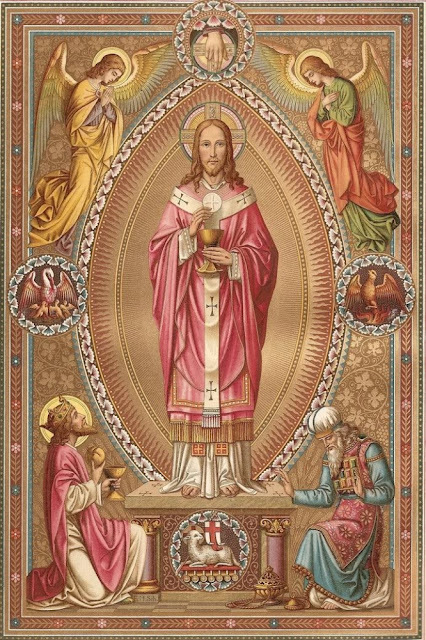 GULP Alert: Just how HOLY is the Holy Mass for your Father? In your streets, using a water goblet for the Precious Blood? State Dinners have better dining finery. Malcom Little's words remain true until today. Kaya tignan nyo ang KATANGAHAN ng ABS CBN at TV5! Not only are they misrepresenting Pope Francis, they are misrepresenting the Catholic Church. Kaya to all TPC Readers! "DO NOT BUY THESE SHIRTS!" "It's very nice to hear. BUT IT SENDS A WRONG MESSAGE. "It's a misreading of Pope Francis." Thanks to Advocates of Life No to RH Bill for the photo. Calling this an oxymoron is an understatement. 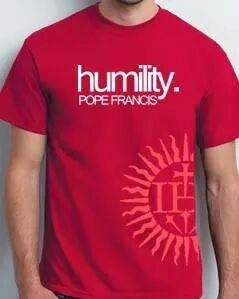 Be proud of your humility! 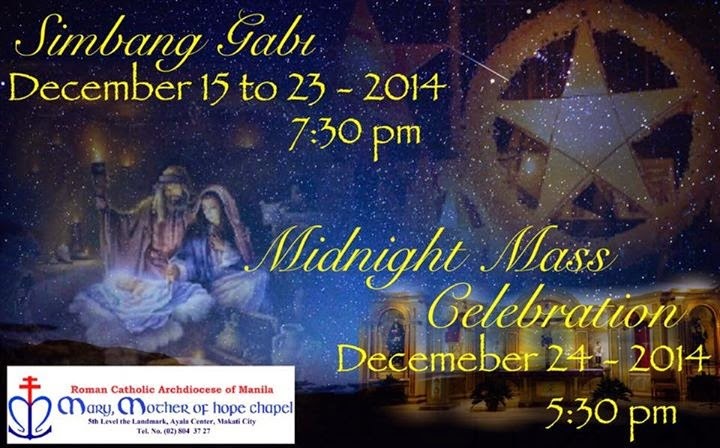 What time should a Midnight Mass be? Have you ever heard of the Vigil Mass of the Nativity of the Lord? Yes, it exists. But even that Mass, at 5:30 pm? Innovations and Traditions: Christ the King Eucharistic Procession redux! So if you do not have any degree in Theology and Liturgy, you don't have any right to speak up. Like if you do not have any law degree, you cannot talk about your rights under the law. Makes you wonder why some individuals would rather defend their procession of an image of Christ the King instead of a procession with the Blessed Sacrament. Show me an example that processing with an image of Christ the King is done as part of Church Tradition? You don't do the Sinulog with the Blessed Sacrament. I would be against it. It was always done with the Sto. Niño image so do it like how our forefathers did it. Why have a Christ the King procession without the Blessed Sacrament? An image cannot replace Christ Himself. 104. Eucharistic processions should be arranged in accordance with local customs in regard to the decoration of the streets and the order followed by the participants. In the course of the procession there may be stations where the eucharistic blessing is given, if there is such a custom and some pastoral advantage recommends it. Songs and prayers should be planned with the purpose of expressing the faith of the participants and the centering of their attention on the Lord alone. Show me a photograph to prove that Christ the King processions with an image instead of the Blessed Sacrament is THE tradition and NOT an innovation. This photo is from this source. 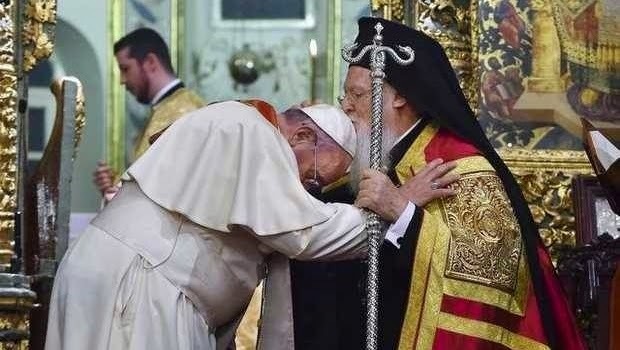 Here is the Holy Father, the Supreme Pontiff, bowing before the Patriarch of Constantinople, asking for his blessing, which the Patriarch did with a kiss. The Pope attending the Divine Liturgy of the Orthodox. attend a Traditional Latin Mass of the SSPX and ask for the blessing of Bishop Fellay, leader of the the SSPX? If the Pope did it to this schismatic group, what's stopping him? We have blogged about this fake priest for so many times and here for more. And he still thinks he can get away fooling people that he is a priest of the Roman Catholic Church. He is not. He is a priest of another church that is not in communion with Rome. Here is the latest from CBCP News. SAN FERNANDO City, Pampanga, Dec. 9, 2014— Let the faithful beware. Just a few weeks into his office, the newly-installed pastor of the San Fernando archdiocese issued a message advising his flock to be on guard against a man disguised as a priest reportedly seen making the rounds of his See. 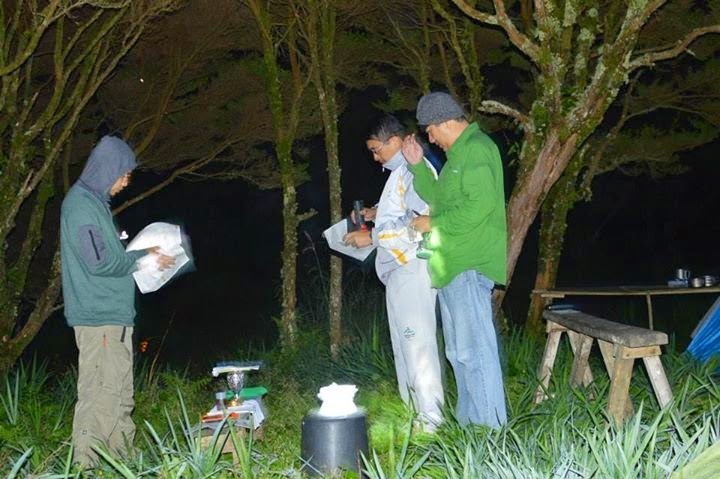 In a circular dated Nov. 29, Archbishop Florentino G. Lavarias shares that a certain “Fr. 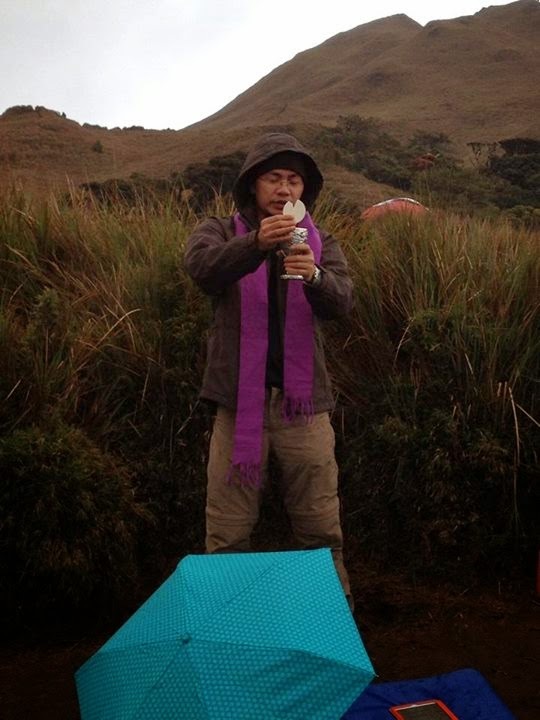 Jose Mark Robinson Bunag” is not permitted to celebrate the Sacraments in the Archdiocese of San Fernando. 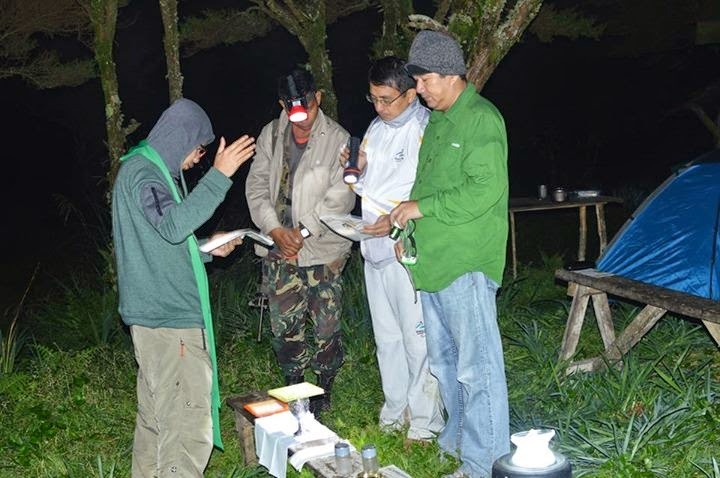 While Bunag claims to be a priest of the “Catholic Church of the East”, Lavarias stresses the former is not a validly ordained member of the Roman Catholic clergy. 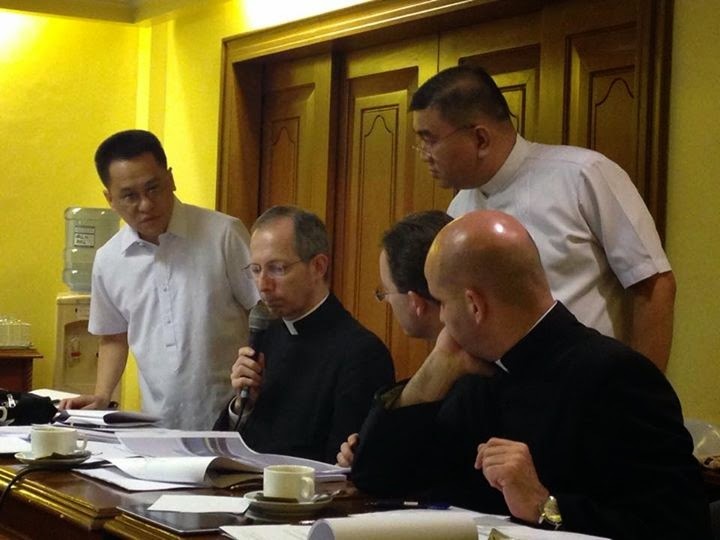 Meanwhile, the Diocese of Pasig had earlier raised the alarm on the issue involving Bunag. 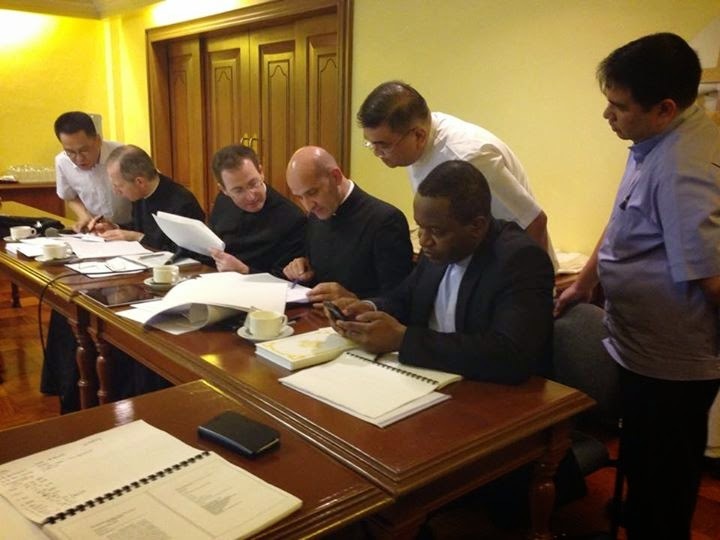 Besides Pampanga and Pasig City, Bunag has also been spotted in Cavite and Parañaque City allegedly offering to say Mass in private homes without a valid “celebret”, a document (letter or ID) certifying the bearer is a priest and may be allowed to practice as such in the particular diocese he is in. 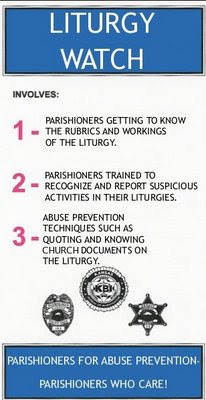 Now that came from the news service of the Catholic Bishops Conference of the Philippines. The Master of Apostolic Ceremonies, Mons. 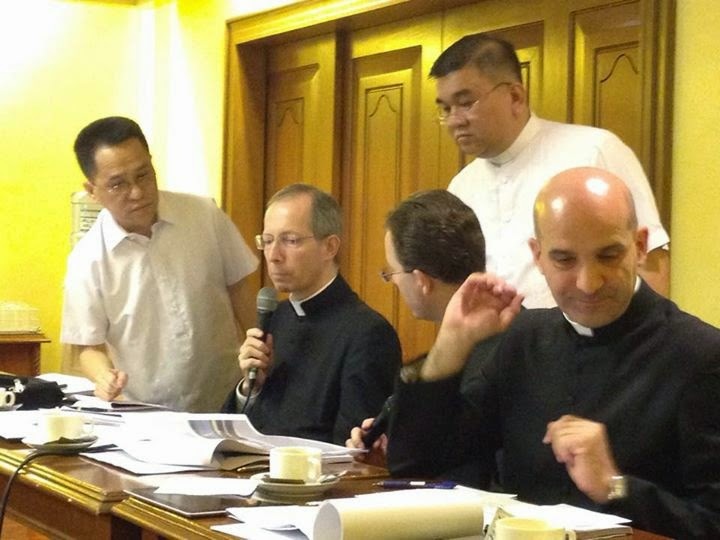 Guido Marini, is in town finalizing the liturgy for the Holy Father's Apostolic Visit in January 2015. 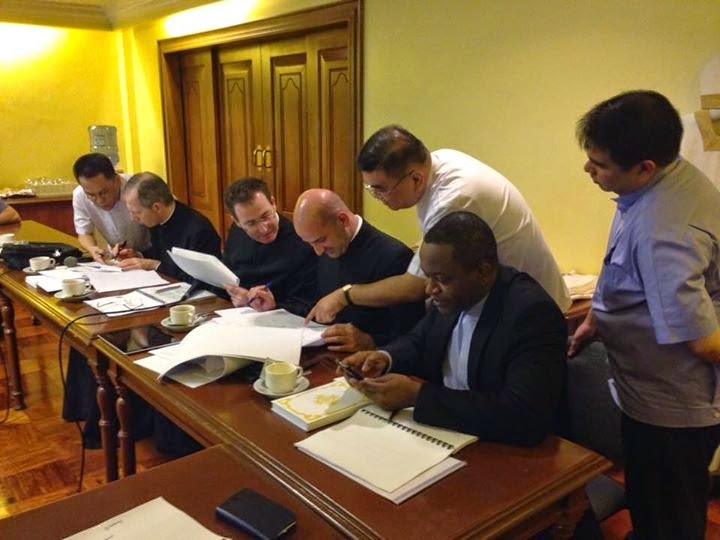 He met with the country's TOP LITURGISTS. 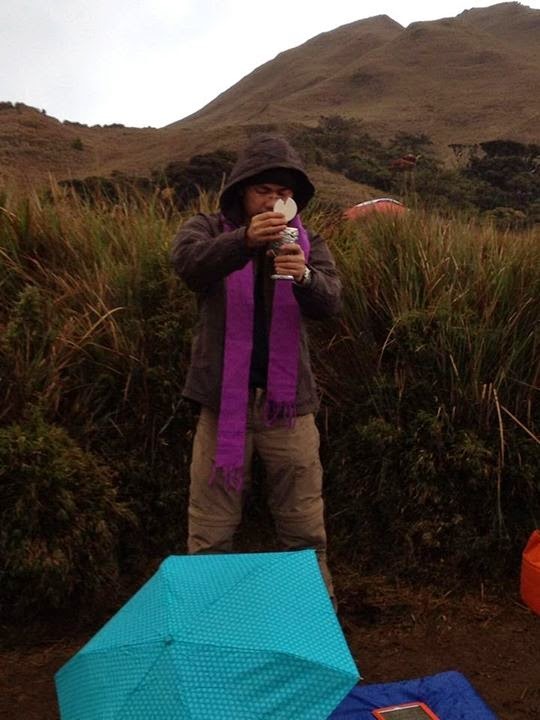 Top in hating the the reform of Pope Benedict XVI. 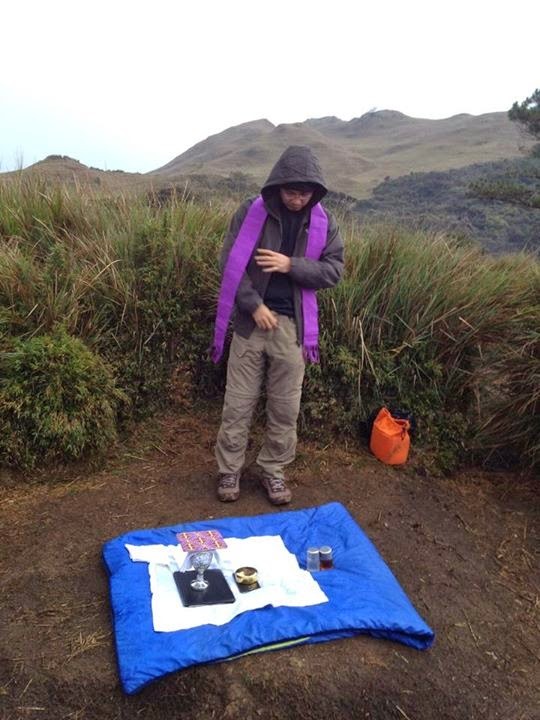 Top in promoting the illegal and illicit Misa ng Bayang Pilipino. Top in saying that the Benedictine altar arrangement is ridiculousness. 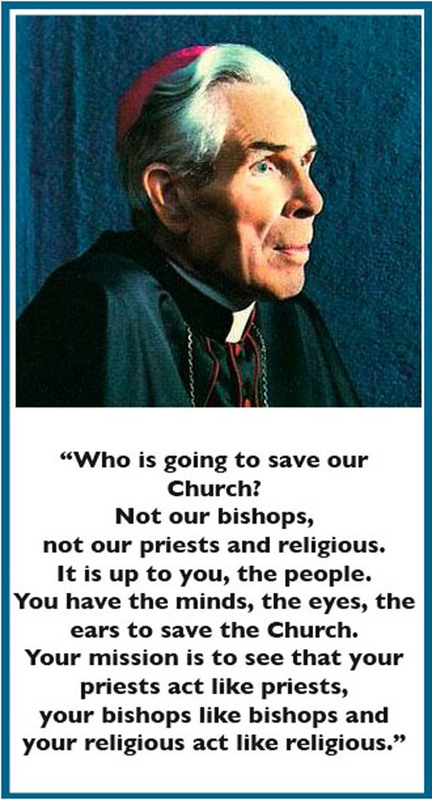 Let us see how OBEDIENT they will be to Mons. Marini. 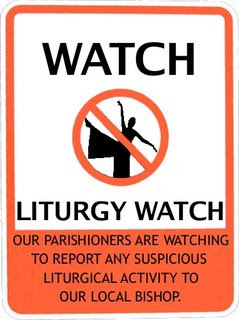 And for all liturgical dancers in the Catholic Church. A little historical reminder for all of you folks. 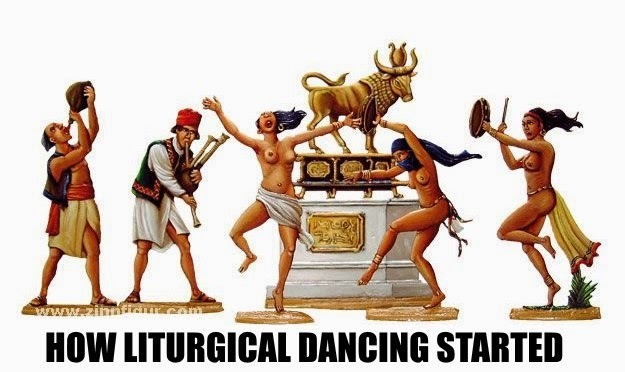 Dancing has never been part of the Jewish act of worship. What King David did as not part of the Sacrifice of the Burnt Offerings at the Temple. He was doing it on his own, more of a private devotion. 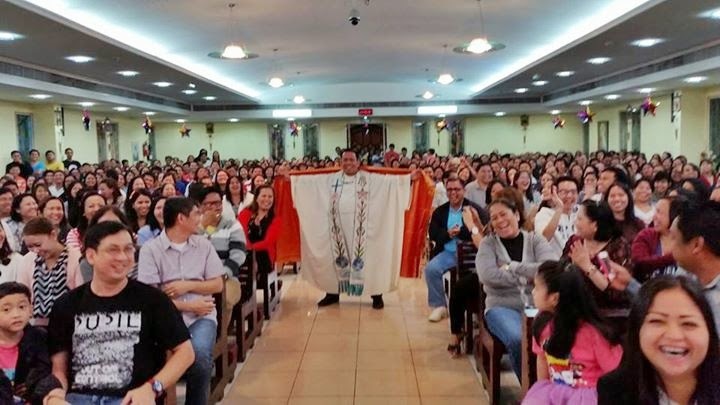 For thousands of years, Christians did not worship dancing nor hands raised, like what most Catholic charismatics do, especially those in SM Megamall, week after week after week after week. So, stop dancing and stop raising your hands. The Mass is Calvary in front of your eyes. Unless you want to CELEBRATE the crucifixion of Christ better yell out like the others at Calvary "He save others but he cannot save himself! If you are the Son of God, come down from the cross." Catholic archbishop declares: Jesus was a layman! A supposedly Roman Catholic archbishop actually said that and his statement was even published in the website of the archdiocese. 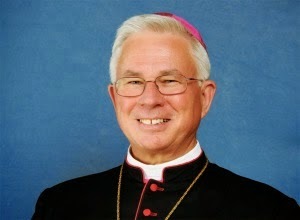 Salzburg archbishop Franz Lackner, (pictured right) said the future of the Church will include fewer priests, but that "the laity can take on important and responsible positions in the Church." These tasks should not belittle you, Lackner said. "We have forgotten that Jesus was a layman." He actully that Jesus was always mentioned as the Eternal High Priest in Hebrews 6:20. So, if Jesus was a layman, he couldn't have ordained the Apostles who ordained other bishops, who then ordained other men, and then the bishop who ordained Lackner priest and the bishops who consecrated him bishop are all.....*gasp*.....laymen! So that means, Lackner is a LAYMAN! Even Martin Luther would get mad at this guy. The elephant in the room. We all can see it. Nah....that picture below is but a remnant of a pre-Vatican II past. Too archaic for that archbishop, or should I say archlayman?